Mainstream videogames often shy away from interpretative ambiguity, finding commercial safety—and ludic economy—in well-worn generic personas and dramatic milieus. Terrorists, monsters, aliens, Nazis—these are the culturally uncomplicated enemies who, in stereotypical scenarios and archetypal narrative arcs, must be slain by the solitary hero (i.e., the player) on a quest to save the princess/community/world. But what happens when a videogame uses people, places and contexts that aren’t so culturally clear-cut or historically remote? This is often the space in which indie and art-project videogames operate, offering through simulation various interpretations of real-life people, issues and events. When big-budget games do attempt to play with ongoing social conflicts, or with aspects of race, gender, class and other complex cultural representations, they do so at great financial risk and critical punishment. Certain titles justifiably earn our scorn for their cultural callowness: consider the first-person shooter Call of Juarez: The Cartel (Ubisoft, 2011), a game that twists the real horrors of cartel violence and human trafficking on the Mexican border into a racist, clichéd, fear-mongering narrative about white slavery. For a stirring takedown of the game—and remarkable analysis of the drug war in Ciudad Juárez—see the compelling Extra Credits review. Bad-faith media objects abound, but perhaps the more challenging case for analysis would be a mainstream videogame that attempts to honestly—but humorously—replicate cultural tropes for playful purposes. For example, I’ve been playing Guacamelee! 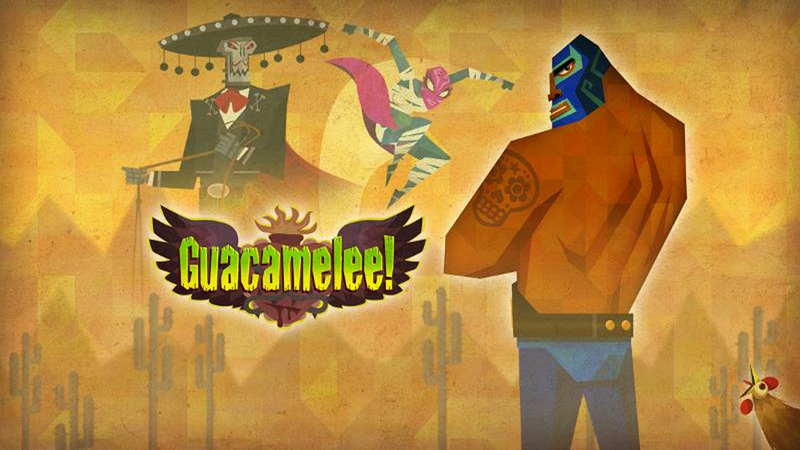 (2012), a Mexican-themed, platform-style game now available for download on the PlayStation Network. As the assistant editor of Aztlán: A Journal of Chicano Studies published at UCLA, I’m keenly attuned to issues of Chicano representation, and I was eager to play a mainstream game in which a Mexican milieu, regardless of abstraction and superficiality, permeates a game’s aesthetics.